Most of us want to know what really happened between Brett Kavanaugh and Christine Blasey Ford that took place at a party somewhere in Maryland during the early 1980s. Neither you nor I have any information about what happened if anything. And while I realize for many sexual assault victims, the story awakens past traumas of abuse, nevertheless, we are not the ones on trial. Keeping an open mind in matters of just is essential. Justice is not determined by public opinion but on the basis of evidence—and not hearsay. This legal principle not only exists in the Constitution, the Magna Carta as well as the ancient Justinian Codes state the Latin maxim: ei incumbit probatio qui dicit, non qui negat (“the burden of proof is on the one who declares, not on one who denies”). “One witness alone shall not take the stand against a man in regard to any crime or any offense of which he may be guilty; a judicial fact shall be established only on the testimony of two or three witnesses. One witness shall not rise up against a man for iniquity or for any sin.” (Deut.19: 15). This principle can even be traced back to the Code of Hammurabi (ca. 1810-1750 B.C.E.). Whether you agree with Judge Brett Kavanaugh’s “originalism” view of interpreting the Constitution, or not, we would all be wise to suspend judgment until we have the facts. Why? Because the presumption of innocence is fundamental to our very system of law. Public lynch mobs ought to be a thing of the past, but judging by what I have heard from many of Blasey-Ford’s advocates is disturbing. 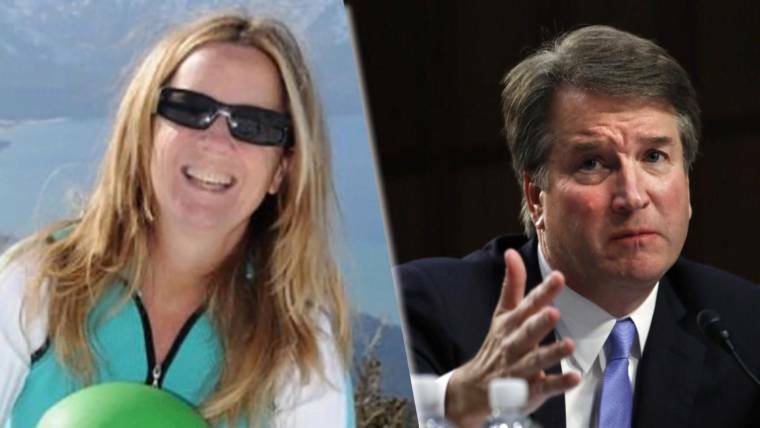 The onus is upon Blasey-Ford, it is not upon the accused. Asking for him not to have his attorney defend him is also inappropriate. Everyone is entitled to an attorney and everyone is entitled to the presumption of innocence. Let’s be clear about that. Now, I must admit, a part of me believes this entire ordeal has a political animus. Its goal: —to thwart President Trump’s attempt to appoint Judge Kavanaugh. None of the women who have worked with Kavanaugh ever complained about his behavior either. His record has been squeaky clean. Some more afterthoughts: Once you open the Genie’s bottle, getting it back inside may prove impossible; these political leaders will discover: Those who live in glass houses should not throw stones. We already know about assault charges associated with Keith Ellison, who gave his wife a black eye, as well as other women in his past. Ultimately, I also believe that Senator Feinstein’s Hail Mary pass may not bode well for many Democrats or certain Republicans. There is a slush-fund in Congress intended to pay off women who have been sexually exploited by our esteemed members of Congress, Once President Trump makes this information publically available, our national attention shall be directed at the real enemies of women’s rights—the charlatans who masquerade as supporters of women’s rights. Chucky Schumer has been accused as well. Joe Biden has plenty of skeletons to worry about too. I suspect some Republicans have something to fear. My prediction: I believe Judge Kavanaugh will be vindicated. As a Jew, I only wish Jewish representatives in Congress would not turn themselves into lightning rods that will only increase anti-Semitism in our great country. Next time someone wants to make an accusation against any prominent political figure, I hope that person’s name is Smith.